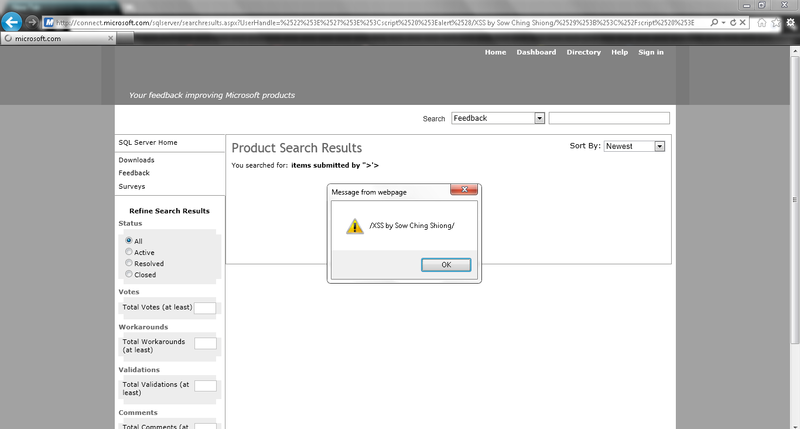 Sow Ching Shiong, an independent vulnerability researcher has discovered a Cross-Site Scripting (XSS) vulnerability in connect.microsoft.com, which can be exploited by an attacker to conduct XSS attacks. This vulnerability has been confirmed and patched by Microsoft Security Team. I would like to thank them for their quick response to my report.